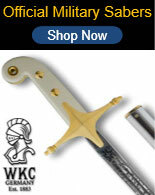 Military Officer Swords for sale include all types of designs. From Confederate Officer Swords to modern day Army, Marine, Navy, Air Force, Coast Guard and Cadet Officer Sabers. 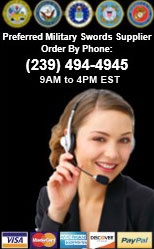 We are proud to be a preferred military supplier for over 24 years. 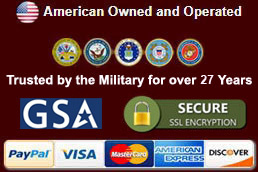 GSA SmartPay credit cards are accepted. Customize with our laser engraving services. Cold Steel U.S. 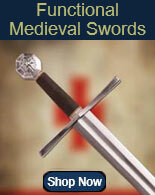 Naval Officer Swords for sale are 37 ¼ inches in all and weigh 1.59 pounds. 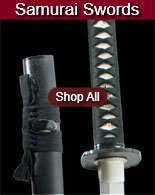 These popular military swords feature a functional 32 inch blade that is forged in heat treated 1055 carbon steel. 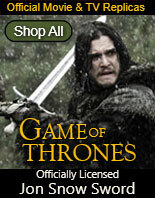 They have a tough spring temper and a highly polished, sharpened forward blade edge. The 5 ¼ inch issue handle is made of white imitation ray skin. The hand guard and pommel feature beautifully polished brass. The scabbard features real leather and genuine polished brass fittings. 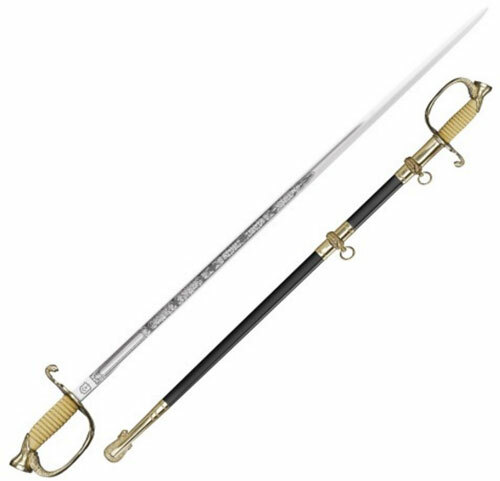 Buy the Cold Steel US Naval Officer Swords for $239.99.